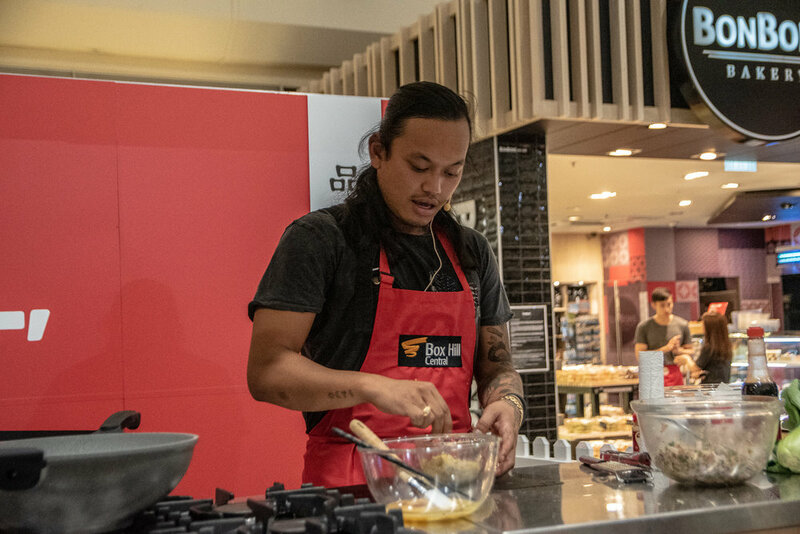 To celebrate this year’s Melbourne Food & Wine Festival, Gastrology were invited to participate in an exclusive cooking demonstration and dining experience at Box Hill Central along with a night’s stay at The Chen Art Series Hotel. We arrived at Box Hill Central to participate in a cooking demonstration by the lovely Khanh Ong (MasterChef 2018). 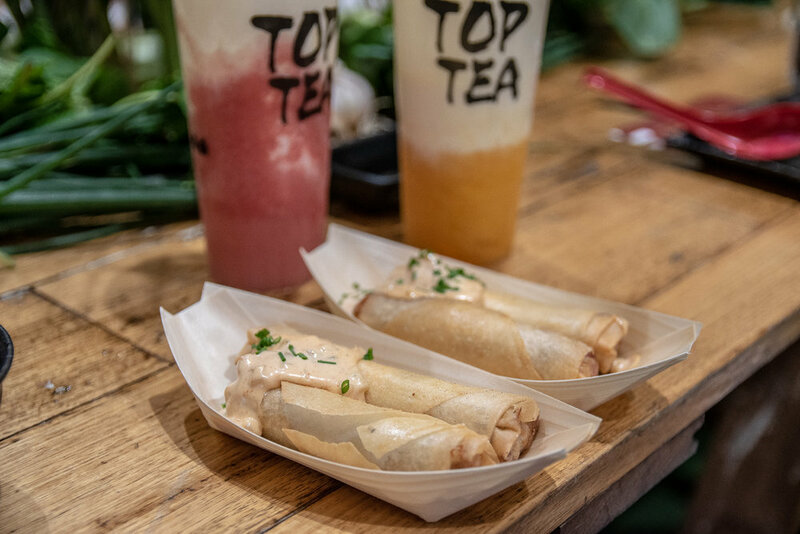 Khanh took us through the art of making the most beautifully crisp spring rolls with a modern twist. Instead of traditional spring roll fillings, this one tasted like a cheeseburger inside – YUM! The cooking demonstration was followed by a delicious dinner which featured food from all over Box Hill Central. To start, we loved the wonderfully fresh sashimi and sushi rolls by Sushi Jiro. 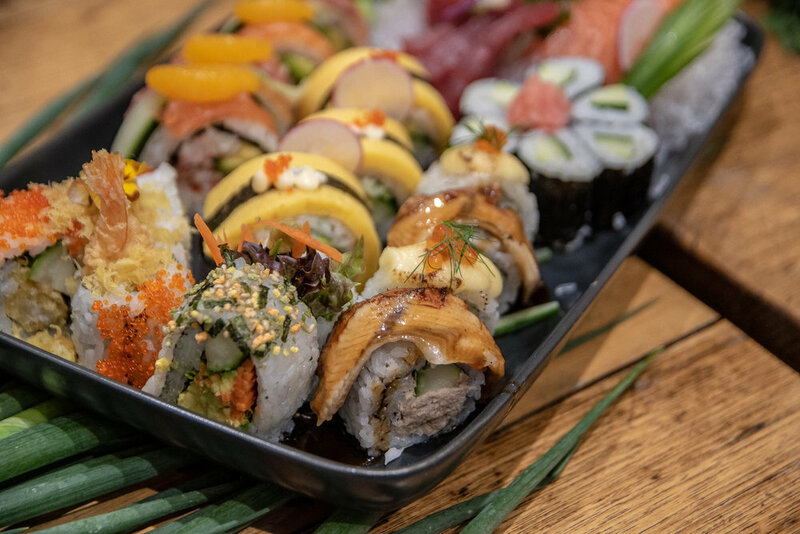 The sushi and sashimi were expertly prepared and it was clear that Sushi Jiro is using only the freshest, highest quality seafood. To follow Kitchen Republic spoiled us with a range of delectable dishes. The immaculately made xiao long bao were perfection. Showcasing the skill of the chefs, the xiao long bao skins were elastic, translucent, of consistent thickness and didn’t easily tear or unravel. And yes, they tasted amazing! The dished of stewed chicken and fried eggplant from Kitchen Republic were similarly delicious – wonderfully prepared and bursting with flavour. We also had the opportunity to sample bowls of KL Laksa’s creamy laksa which were both hearty and comforting. The Chinese pork and beef “burgers” from Little Sichuan were authentic street style food which also impressed and transported us to the streets of China. To finish, PAFU puffs concluded our evening on a delectably sweet high. Flaky, crispy pastry encased a creamy apple and custard mix. Delicious! Situated at 850 Whitehorse Road, The Chen Hotel takes its design cues from celebrated Australian abstract artist, Zhong Chen. We loved staying at this luxury boutique hotel. Our room was beautifully appointed and was the perfect place to wind down after a wonderful time at Box Hill Central. We couldn’t resist enjoying The Chen’s rooftop pool the next morning. The stunning heated rooftop pool overlooks Melbourne’s impressive city skyline.